The Port of Mombasa is the gateway and exit point for cargo belonging to a vast hinterland that include Kenya, Uganda, Rwanda, Burundi, Democratic Republic of Congo, Tanzania, South Sudan, Somalia and Ethiopia. 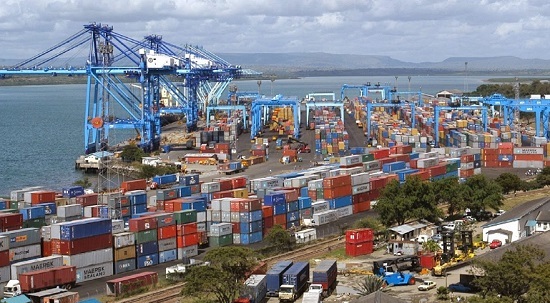 The Port of Mombasa is managed by the Kenya Ports Authority (KPA), a parastatal fully owned by the Kenya Government. Since 2012, cargo throughput has registered a steady annual growth of 5.7 percent from 21.92 million tons to 27.36 million tons in 2016. Similarly, container traffic has registered an impressive growth from 903,463 TEUs in 2012 to 1,091,371 TEUs over the last five years. Transit traffic recorded 4 percent growth to 7.75 million tons in 2016 up from 6.63 million tons in 2012. This growth was mainly supported by Uganda transit traffic which grew by 7.1 percent over the same period. Economic growth in the Northern Corridor Region contributed significantly to the increased cargo throughput at the Port of Mombasa. In 2016, total cargo throughput recorded was 27.36 million tons against 26.73 million tons registered in 2015. This represented a 2.4 percent growth. To improve the cargo throughput of the Port, a new container terminal with an annual capacity of 550,000 twenty foot equivalent units (TEUs) per year was commissioned in 2016.